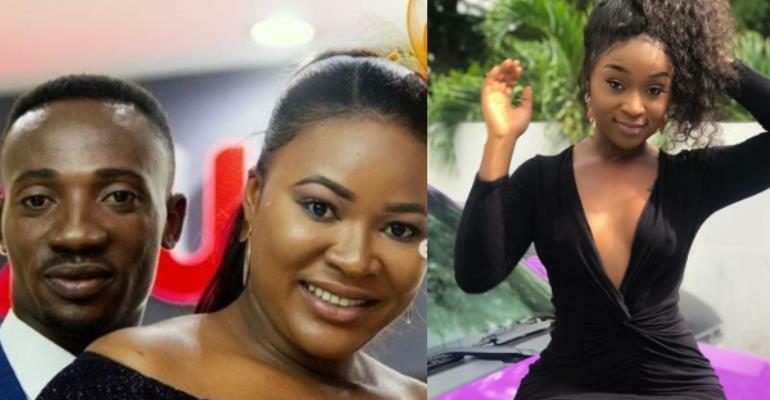 In spite of the controversies surrounding actress Efia Odo, Kumawood actor Abraham Kofi Davis popularly known as Salinko, says if he wasn't married, he wouldn't hesitate making her his. “I like everything about Efia. She is crazy and that is what attracts me to her. Even my wife is aware that I would have gone for her if we were not married,” he told Showbiz in an interview on Friday, March 22. “When you know the behavior of others, you are able to stay with them. Efia Odo was born crazy and I can handle her without any trouble,” he said. Salinko added that he had always had a thing for beautiful girls and Efia Odo is so beautiful hence his crush on her. “Although I am quick-tempered my wife never talks back and she always calms me down. It's not as if she can’t fight back but she understands me and I always end up apologizing to her,” he said.